We presented our Media Fragment Service during a regular LinkedTV meeting in Prague. 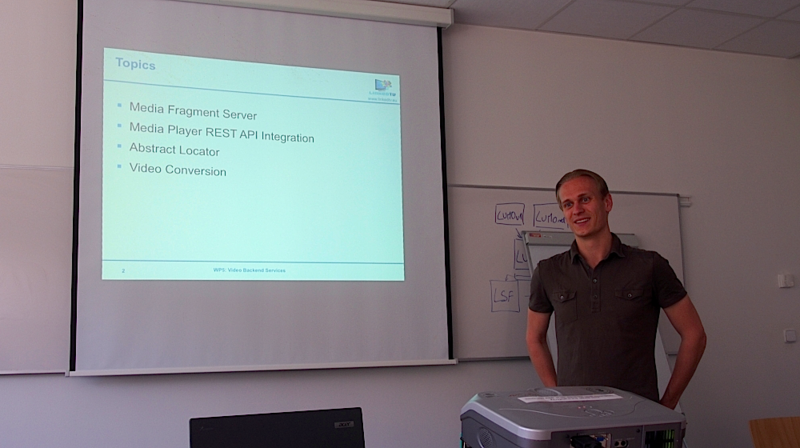 Pieter van Leeuwen gave a presentation on the functionalities and the way to connect to the service using our API. Main goal of the service it to generates temporal media fragments in real time from a video file. The service enables showing parts of a video on a website without the hassle of re-transcoding or uploading a video twice.